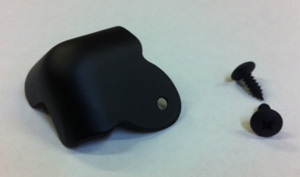 We offer three style of corner protectors. 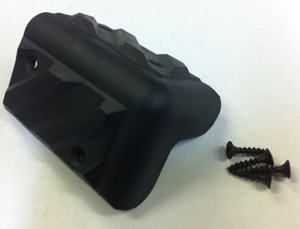 Flush mount screw holes with and return tongue. Available in Nickle and Black. 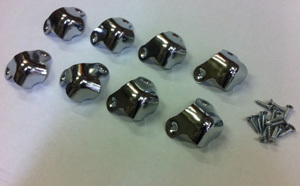 Set of 8 which include 16 screws. Non-flush mount screw holes and no return tongue. Available in Black only. Set of 8 which includes 16 screws. Large interlocking plastic corners. Black only. 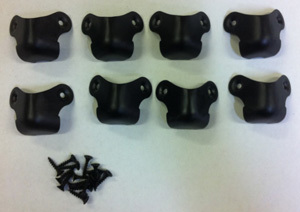 Set of 8 which include 32 Screws.